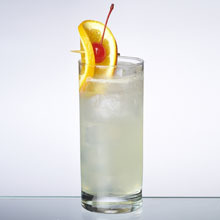 A flip is a cocktail containing egg (whole egg or just yolk), sugar and a spirit or fortified wine. They are similar to Egg Nogs but while Egg Nogs contain milk or cream, Flips don’t. Flips were originally served hot, often warmed with a hot poker. Today they are mostly served cold, shaken with ice and strained into a chilled coupe or wine glass, usually garnished with a dusting of nutmeg. Just about any spirit or fortified wine can be shaken with sugar, an egg (yolk & white) and ice to make a flip and our default flip recipe is surprisingly tasty, and better with more robust base spirits/wines. For your delectation, I have also added links to some of our better flip recipes below. 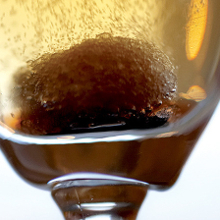 Flips originally comprised rum or brandy, beer and molasses or sugar, mixed together then heated with a red-hot poker which caramelised the drink and made it bubble and froth. Over time, a tin or copper vessel known as an ale-warmer replaced the poker. Helped by sailors, the Flip crossed the Atlantic where President George Washington became a notable Flip drinker. 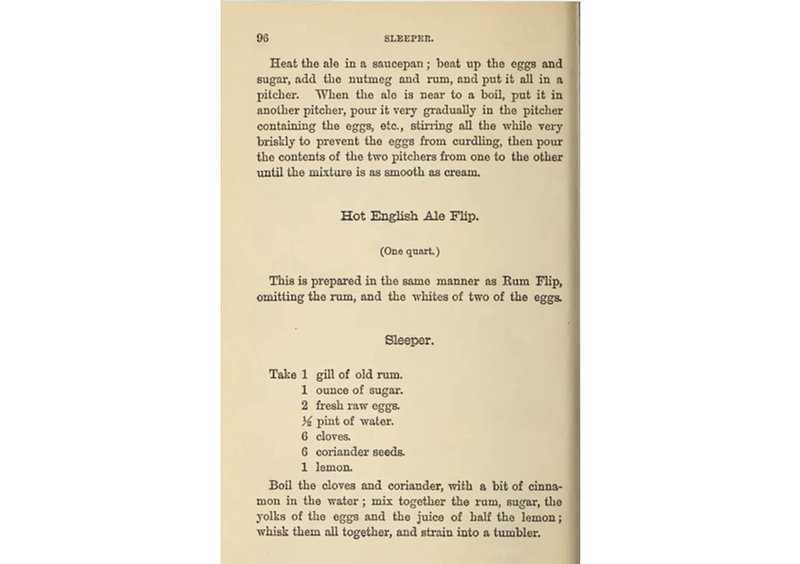 In America, eggs replaced beer in Flips as they moved to being mostly served cold rather than hot. 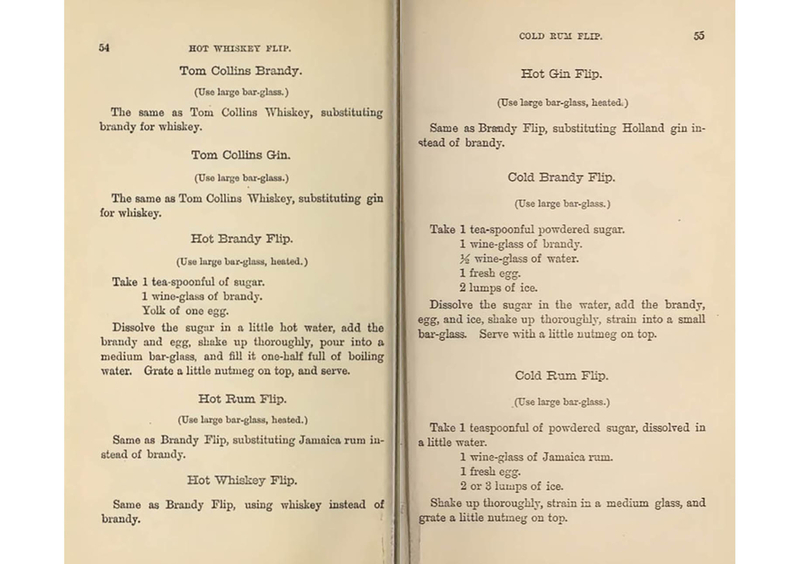 The first written reference to cold flips is found in E. A. Simmons 1874 The American Bar-Tender or The Art and Mystery of Mixing Drinks. 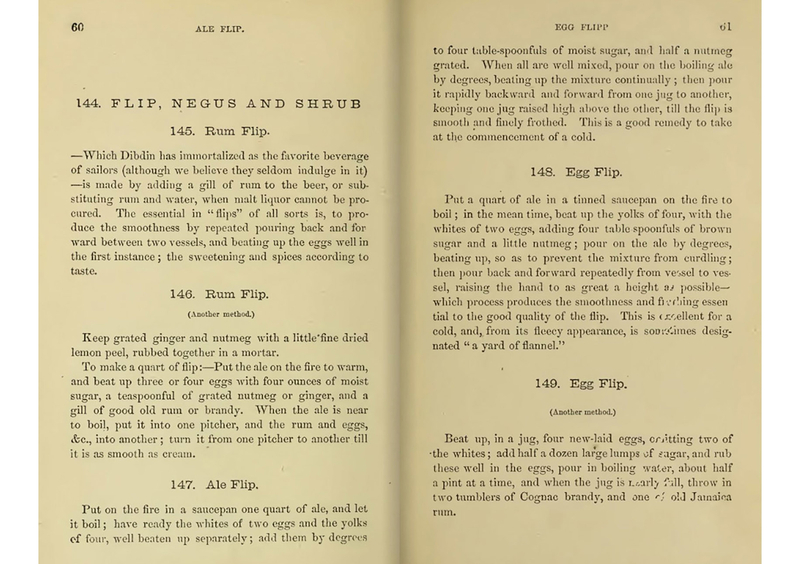 And by his 1887 edition, cold flips also appear in Jerry Thomas’ The Bar-tenders' Guide with the number of flip recipes increased to 13, including the Sleeper [below]. 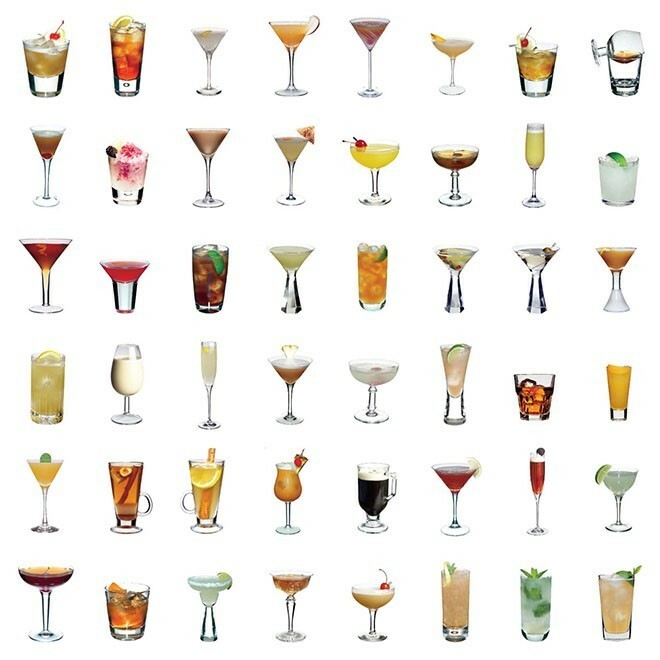 Today the flip is a style of cocktail that’s loved by most classically-led bartenders, but a whole raw egg, or at least an egg yolk per cocktail is off-putting for many of their customers. Flips are filling, a meal in themselves, but fears over the health risks associated with raw eggs prevent flips enjoying the renaissance they deserve. With: Bourbon, madeira wine, sugar syrup and a whole egg. 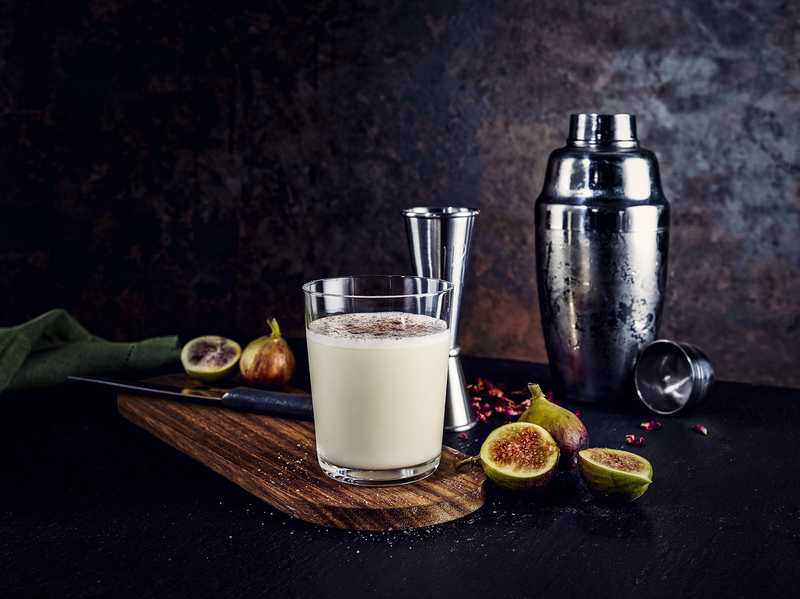 We say: A good dusting of freshly grated nutmeg makes this old school drink. With: Cognac, sugar syrup and a whole egg. We say: A forgotten classic and a serious alternative to advocaat for those without raw egg inhibitions. With: Advocaat, white wine and lemon juice. We say: A delightful balance of egg, spirit and wine. With: Tequila, Chartreuse, sugar syrup, a whole egg and grated nutmeg. We say: Challenging herbal and bitter complexity yet with endearing sweet creaminess. 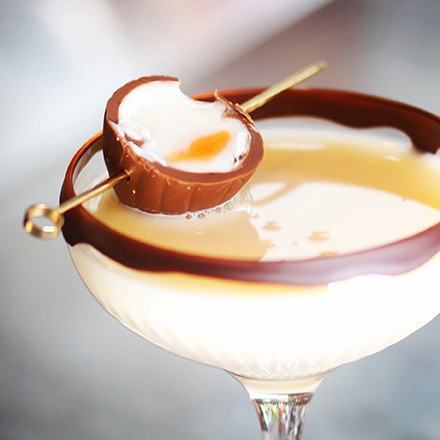 With an egg, shot of tequila, Jägermeister and Chartreuse, this is both a Death Flip and your last meal. With: Sherry, sugar syrup, Angostura Bitters and egg yolk. We say: Salty tang of fino balanced and given extra richness by the egg. With: Rum, Velvet Falernum liqueur and egg yolk. 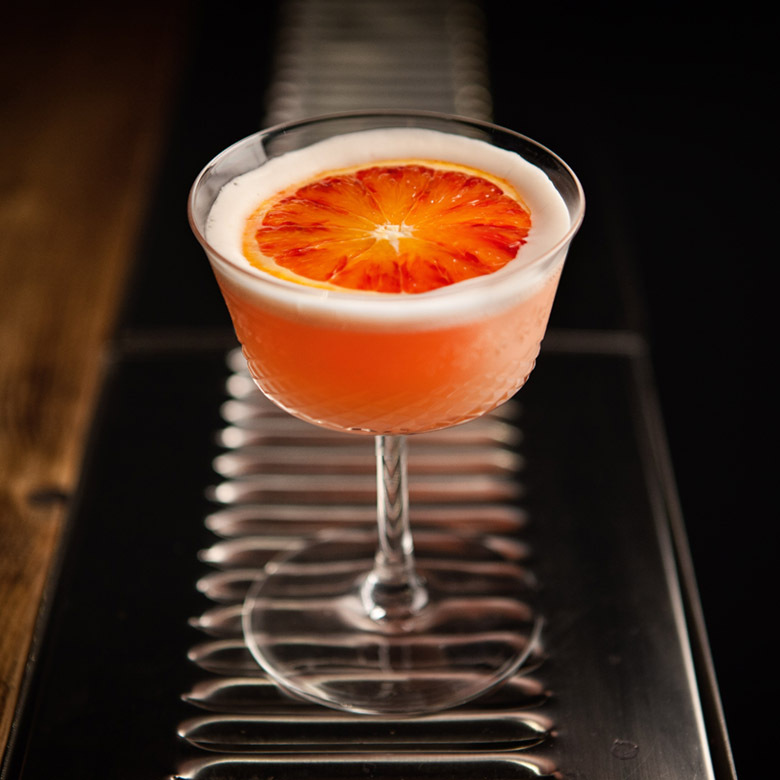 We say: Simply an aged rum flip with falernum replacing sugar syrup and egg white omitted. 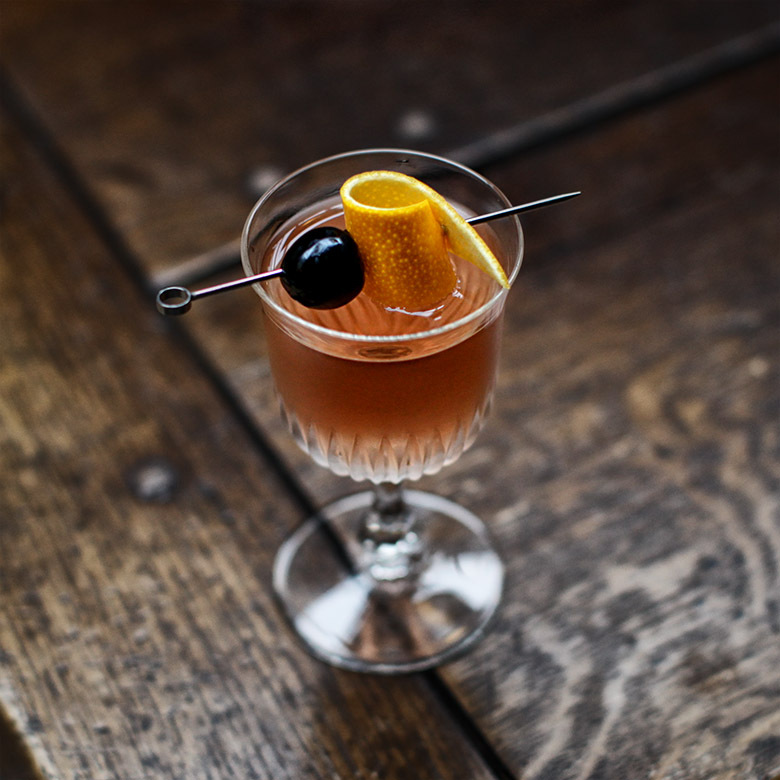 With: Rum, apricot brandy liqueur, hazelnut liqueur, orange juice, lime juice, pomegranate syrup and egg yolk. We say: This richly flavoured velvety cocktail is almost custardy in consistency but with a refreshing hint of lime. 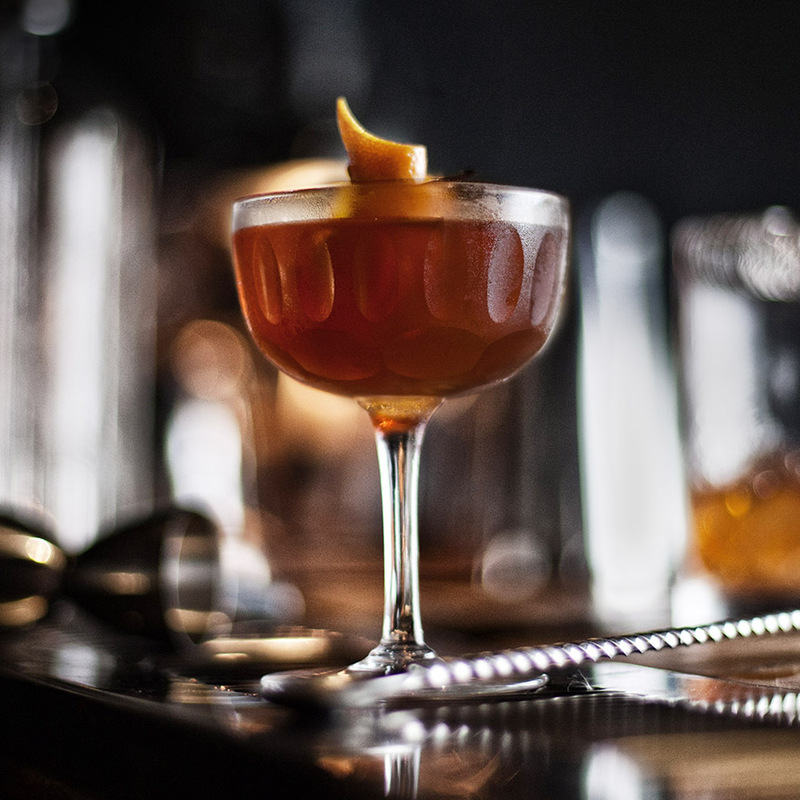 With: Single malt scotch whisky, blended scotch whisky, cherry brandy liqueur, sugar syrup and egg yolk. We say: Smoky Islay malt adds a distinctive aroma and flavour to this appropriately named cocktail with cherry fruitiness and smoothing egg yolk. With: Port, calvados, sugar syrup and egg yolk. We say: Rich but not overly sweet with a great balance between the port and the calvados. With: Bourbon, port, sugar syrup and a whole egg. We say: Flipping good. Easy and light. With: Cognac, port, sugar syrup, Fuller's Chiswick Bitter and a whole egg. We say: Full-bodied both describes this drink and how you'll feel after consuming this very tasty meal of a drink. Quer melhor maneira de comemorar a Páscoa do que com chocolate, muitos deles em forma de ovos? E, por que não, com um coquetel?